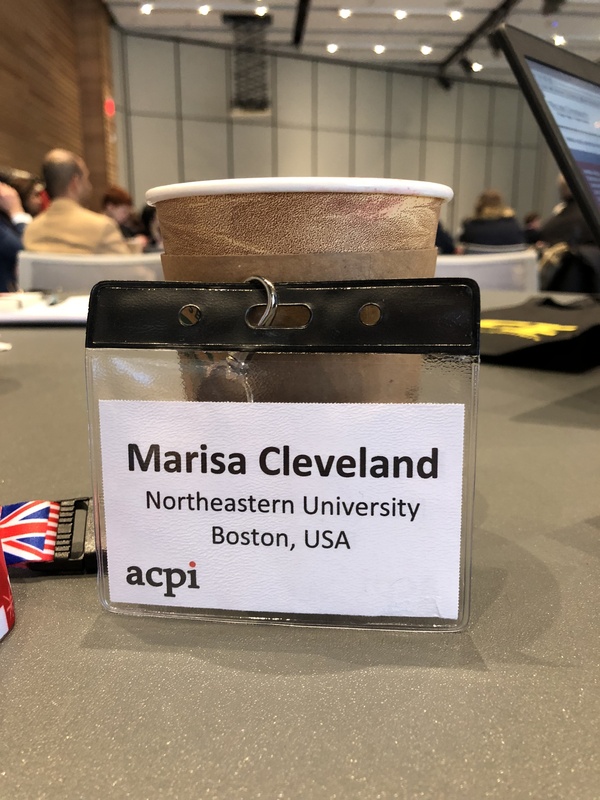 After attending my first academic conference, where I had my first academic paper published (thanks to my super, amazing, supportive co-author husband), I’m finding my voice. This first paper, Toward Understanding the Impact of Entrepreneurial Leadership Skills on Community Engagement, sets the stage for my future research, particularly defining engaged communities. As educators, we teach and we learn. We must also adapt. Today’s digital world allows for global opportunities, and it is our privilege as entrepreneurs to seek new possibilities and educate our workforce in a similar mindset of becoming job creators rather than job seekers. When we create jobs—when we share our experiences in how to create jobs—we empower those around us to explore different levels of life. When students learn how to think critically, how to immerse themselves in their lives, how to wake up and create and risk-take, then progress is made. But becoming a job creator is not just for the stereotypical entrepreneur. That rookie analyst recently hired to recover a troubled project at the telecommunications company—that person could be a job creator with the ability to hire a team of experts to tackle the organization’s problems. The consultant working for the large corporation must bring in business to increase the portfolio that will be the basis for a promotion to manager or partner. The more contracts signed, the more work, the better justification to hire more team members… that consultant is a job creator. These people around us, creating jobs every day, move our economy forward and promote growth and positive thinking. It’s about getting this done right. Taking ownership of our limited and ridiculously unpredictable time on earth. We weren’t born to die of boredom. At least I hope I wasn’t. Some people will take the path of least resistance. They will seek jobs that are safe. They will not challenge themselves to really figure out what motivates them. They will complain about why their situation in life is not their fault. I challenge those frictionless individuals to rub up against something other than the smooth lane of life. Pursue a resistance that sparks and ignites into a passionate life. We may promote community engagement, but I’m interested in defining what it means to have an engaged community. One where everyone contributes toward a common pursuit of growth and sustainability. Happy for you to explore these opportunities. Love the attitude you express about entrepreneurship, including various people as well as novelists. Congratulations! Hi Risa, Just popping in to say I miss seeing your sweet face around Naples. Winter, for you, has been brutal but you’re prepared thanks to growing up in New Hampshire! We’re planning (Repubs) an 80th birthday party for Donna to be held @360 Market on Bayshore. Hoping you can attend, of course it’s April 13th. I’m still hoping you can meet my friend who attends Harvard. She’s in her third year. She is a wonderful writer. Would you like for me to send you her most recent blog? She can make me cry in one sentence, laugh in the next and THINK in another. Stay warm. Sending good thoughts. Happy to hear you’ve opened this new direction on life. And I love your quote.